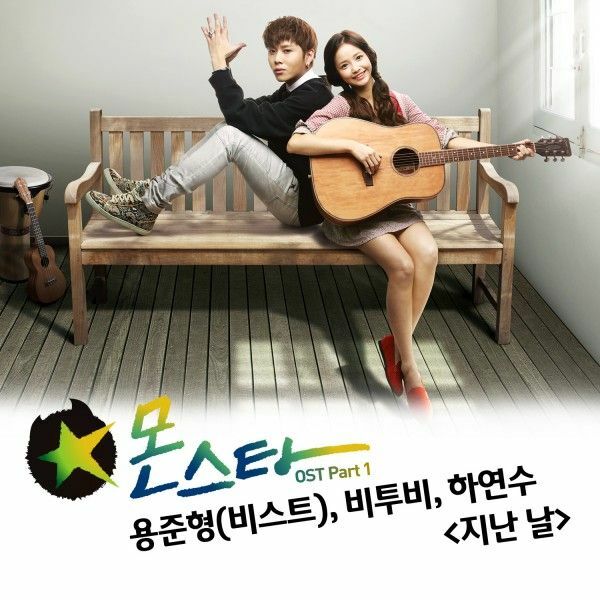 The allure of the new high school music K-drama Monstar is strong indeed. If I started watching when just one episode aired I would be as hooked as I am right now having watched the first three episodes. This is a drama that has its bearings and knows how to package the product nicely. There is the music theme woven deftly into the central narrative – leading man Yoon Seol Chan is a rising pop idol who has genuine talent but a whole lotta emotional and ego baggage to go along with it, leading lady Min Se Yi is an oddity with loads of sincere musical talent but a personality that resembles an onion that needs to be peeled and poor Seol Chan is totally discombobulated around her, and Sun Woo has all the makings of the perfect sacrificing and over-productive stoic second male lead but there is more than needs the eye. This drama has a great ensemble cast where there are actual antagonists in the mix, with bully Jae Rok and his henchman Do Nam, but neither are cruel for the sake of being cruel and clearly have their own pain and issues to work through. I can’t say the school yard hijinks is refreshingly or even all that deftly presented, but the cast makes it feel sincere with a very raw performance. There is meta-within-meta in this drama, but the story flows naturally almost like the viewers happen to chance upon a story in progress and we pick up from that moment on. It’s not even funny how I am already obsessed with the OTP of Se Yi and Seol Chan, both as a future couple and as individual characters, and this is aside from finding anyone hot or a great actor in this drama. I love the world that Monstar has created in one short episode that was conceived as a platform for music channel Mnet to sell more music product. Despite its very obvious origins and intentions, the fictional narrative rises above its ulterior origins and hooked me right and proper all on its own. If I had to describe Monstar, I would call it a drama with a lot of potential to bring on the excitement, engage the visual and oratory senses, and ultimately end up as a feel-good story that is entertaining as heck. Who doesn’t love a great unexpected gem? Min Se Yi sits in a park and sings a song accompanied by her guitar and a cute dog. Elsewhere Yoon Seol Chan leads his pop group Man in Black singing the rap/dance version of the same song. 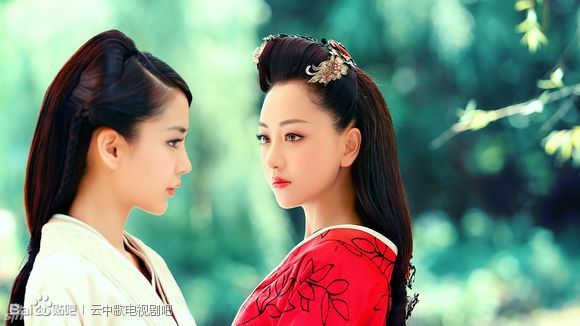 Se Yi voiceovers that their fate began with a set of lips. 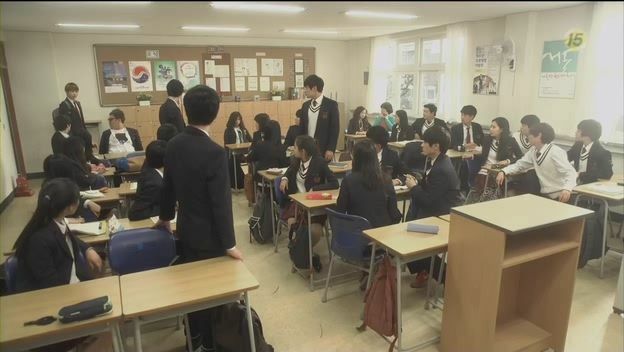 Se Yi packs up and leaves while Seol Chan changes into a school uniform and heads to school. Along the way his Manager Hong explains how the fans are getting crazier, even putting things that Seol Chan hates near the van to get his attention, i.e. a mouse. 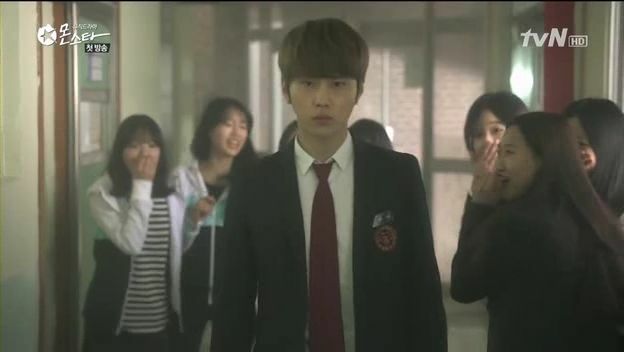 As Seol Chan enters the school he encounters screaming fans as he walks through the halls. He enters a classroom and goes straight for the pretty girl who ignores him. He asks to speak to her and she said to say it right here, so he leans in and kisses her. The camera pulls back and this turns out to be a movie filming in a real high school classroom. The girl is actress Ari, and she’s pissed that Seol Chan faked the kiss by putting his thumb over her lips surreptitiously as they filmed. The school principal thinks filming a kissing scene is oh so scandalous and bound to lead the chaste high school kids astray. The PD is insulted by that insinuation. Ari and Seol Chan go off to talk, with her deriding him as an idol without talent and him asking why she specifically requested that he be cast? Was it because she made a bet with her actress friends to see who could get a kiss from him first. He leans in real close and asks if he should let her win the bet. Suddenly a person walks down the stairs and a camera phone snaps a picture in their direction. It’s Se Yi and Ari immediately confronts her for taking the picture and demands to know what she was snapping? Se Yi stammers out “lips” but Ari takes the phone and huffs off. Seol Chan reads Se Yi’s name tag and tells her he’ll handle it. She is extremely upset and anxious to get her phone back but he mistakes it for fan zealousness and hugs her. She won’t let him go and pulls off one of his buttons. 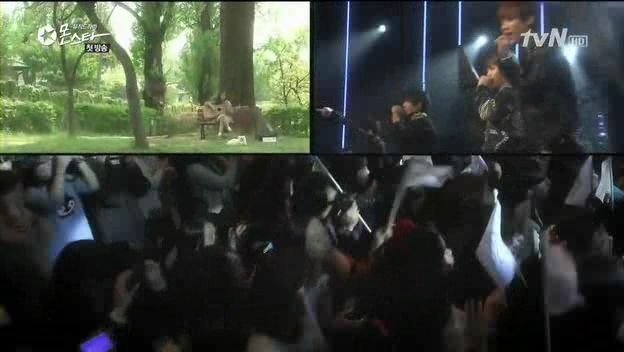 Seol Chan runs for his van when the real fans descend and Se Yi follows the crowd to get her phone back. Seol Chan is in the safety of his van and notices Se Yi outside. Suddenly a girl falls in front of their van and Seol Chan thinks its Se Yi so rushes out to help her, calling her name. Turns out its a sasaeng fan who faked the accident and pulls Seol Chan in for a forced kiss. He pushes her away and it looks like he slapped her. She feigns injury and tears, but whispering that if Seol Chan comes to visit her in the hospital she’ll tell the truth. Seol Chan is whisked away in shock while Se Yi witnessed the incident and stands there staring in shock. Teacher Dok is leading a rehearsal for a music group All For One at school and afterwards tells class president Sun Woo about the upcoming charity performance and asking the group to perform. He promises to ask the other group members but doesn’t look terribly enthused. She notices Se Yi standing outside in a daze (still) and tells Sun Woo to bring the new transfer student in. Sun Woo goes to get Se Yi and immediately speaks banmal with her. Sun Woo goes back to class which has all the makings of a typical school dynamic – resident class bully Jae Rok gets Kyu Dong to sing a song on cue, claiming its “radio time”. Kyu Dong obliges and the class laughs at Kyu Dong’s performance. Teacher Choi asks if Se Yi speaks fluent English having lived in New Zealand for 5 years and she admits she doesn’t because she spent it living on a sheep farm talking only to sheep. She’s so serious about this and when Teacher Choi points out she’s a living Heidi, Se Yi counters that his reference is to the wrong continent since Heidi lived in the Swiss Alps. Se Yi is enrolled in school and taken to her new class. Teacher Dok seats her next to latecomer Kim Na Na. After the teacher leaves Na Na tells Se Yi to beat it and Se Yi moves over to an empty table. Class gossip Eun Ha comes by to welcome Se Yi and warn her away from Kim Na Na, who apparently is a fierce fighting machine and is dating a gangster. Eun Ha really just wants to know why pop star Yoon Seol Chan knows Se Yi since he called out her name as he went to help the injured student who got hit by the van. Se Yi says she doesn’t know him. Everyone around Seol Chan wants him to cave to the sasaeng fan’s demand to visit her in the hospital, including the Company president, Ari, and even Manager Hong. Otherwise his group’s career and Ari’s movie is all at stake. Seol Chan refuses because he did nothing wrong but no one cares when a career and money is at stake. 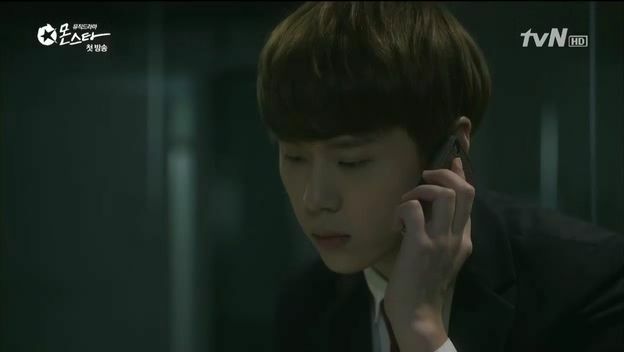 Ari gives him Se Yi’s phone to take care of that situation as well. Se Yi is a total road moron and spends two hours wandering around the neighborhood before arriving home, which turns out to be the condo of Teacher Dok who is Se Yi’s aunt. Aunt wonders how she got lost since Se Yi was told to take pictures of all the road markers. Se Yi doesn’t reveal that her phone got taken by two crazy stars today and instead lies that it ran out of battery. Aunt encourages Se Yi to call her mom but Se Yi refuses and goes to her room. Turns out Se Yi had a falling out with her mom, who she blamed for her father’s death. Seol Chan listens to music to unwind from his current stress and doesn’t find anything he likes in his phone. He picks up Se Yi’s phone and scrolls through her pictures, realizing she didn’t take pictures of him almost kissing Ari, she was taking a picture of the lip poster above their heads. He also notices she took a lot of pictures of the neighborhood and some racy manhwas. He scrolls through her playlist where she has segregated the songs based on feelings. He’s feeling down and alone so picks a song from that folder. He listens to it as Se Yi strums her guitar and sings the same song in her room. A montage shows all the kids in class all alone in their own way. Both Seol Chan and Se Yi start crying listening to the song. 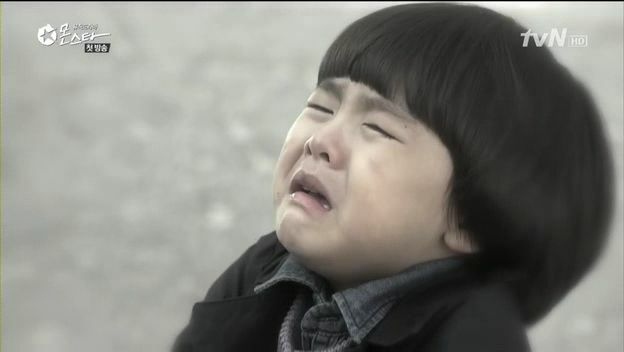 Seol Chan’s sad memory is crying and begging his mom not to leave when he was just a kid, but she left anyway. Neighbors come by to complain about Se Yi’s playing and her aunt placates them but tells Se Yi to find another outlet because she’s not on a farm anymore. Seol Chan is woken up by Se Yi’s mom calling on her cell and he answers, listening in silence as Se Yi’s mom is just happy she picked up and is safely back in Seoul. Seol Chan’s management team decide to send him back to high school as a real student to rehabilitate his image since he refuses to visit the crazy fan. Jae Rok approaches Se Yi to use her English for his group All for One. Se Yi bluntly and curtly answers that she doesn’t speak it because she spent time with sheep, to which Jae Rok thinks she is mocking him. Sun Woo warns him to back off and Jae Rok takes out his frustration on Kyu Dong and makes him sing again like a clown. After class, a bird flies into the classroom and Se Yi takes a table and chair and climbs up to help it. It flies off and Se Yi almost falls but Sun Woo arrives and steadies her chair. He seems rattled by her brush with danger. He asks what she wants with the bird and Se Yi cracks a dead pan joke that she wanted to eat it. As Eun Ha and Se Yi walk home, Eun Ha briefs Se Yi on the members of the school music group All For One. Everyone is from rich families and can afford expensive music lessons. She also warns Se Yi about “Adam”, the resident flasher. Seol Chan is lurking around school with sunglasses and a trench coat. He follows Se Yi to return her cell phone but of course she thinks he’s the flasher Eun Ha warned her about. After a long chase through the alley, Seol Chan pins Se Yi against the wall and covers her lips to get her to listen to him. 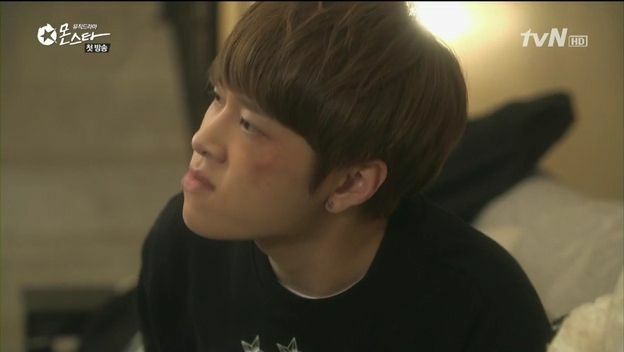 But Sun Woo arrives having seen it all and socks Seol Chan in the face. Se Yi gives him a kick in the gut for good measure and poor Seol Chan never gets to explain why he was chasing Se Yi. Sun Woo takes Se Yi to a coffee shop to calm down and asks how a fan of Seol Chan doesn’t recognize him? Se Yi says she’s not a fan. She thinks back to calling out for her mom when she believed herself to be in danger and hates that it happened. Seol Chan whines over being beat up by Sun Woo and Se Yi, but faced with school or visiting the crazy fan, he smartly picks school and is dropped off. He tells Manager Hong that he has just the person who isn’t a fan or an anti to sit with and avoid problems. Seol Chan heads to class and stops to watch the drama unfold inside. Jae Rok decides to mock Se Yi for his perceived earlier slight and asks her to duet with Kyu Dong, but Se Yi just says no. Jae Rok makes Kyu Dong sing both parts of the duet himself and Kyu Dong meekly complies. As Kyu Dong sings the usual classmates all laugh at him, but he starts to get emotional and cry. 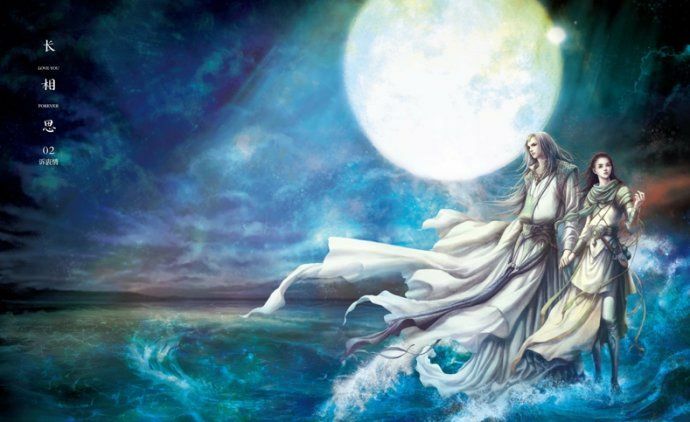 Se Yi watches in growing anger until finally she joins in him the duet. Her voice is clear and strong and gets everyone’s attention. Se Yi and Kyu Dong sing a beautiful duet and the class listens transfixed, while Jae Rok gets more and more furious. After the song ends, Jae Rok is about to confront Se Yi (and Sun Woo about to step in), when Seol Chan kicks the door to the classroom and walks in. Everyone gasps to see him there, and he ignores them and walks straight up to Se Yi. He stops in front of her desk and says “Hey Min Se Yi, will you be my partner?” (i.e. share the same desk?). The rest of the class stares in shocked silence whole Se Yi stares at Seol Chan like he’s some worm that crawled up her desk. LOL, I already lub them so much! There are alot of followers(idol fans), but i think outside of that not many people knew this show even existed. I went back to DB and noticed it was only reported once, a long long time ago. I don’t want to praise it to the high heavens but it really does deserve the extra love from being such unexpected and hidden. It’s great. I watched E1 after the intro at DB and was immediately hooked. But I’m a second lead shipper. Heh. I watched the first episode after reading your recap and felt underwhelmed. *sigh* Directing is pretty neat, but other than that, story and acting are…meh. I’ll give this drama the benefit of the doubt and try out episode 2. Anyhow, thanks for the recap! I would agree that while the directing is deftly done the acting, while not bad, is not quite at the same level, and the story is really nothing new. But, what I love about the show is the emotional connections the characters begin to make with each other, and with the audience. Honestly I just thought it was kinda cute and fun until that final bullying/duet scene. That was a wow moment for me, and the moment I fell in love with the show. Finally you have picked up a good one, Koala! You will ADORE this show. I kept rewatching the ending when she sang the duet with “radio”. It is so beautiful. I love how she glares at him. I love how they wrote this show. Everything feels so natural and real. The scenarios are hilarious yet touching. Every character has a backstory. This is a really well written show. But I cannot stop talking about the music of the song. Each re-hashed song is BETTER than the original. I especially love the Boa song that they redid in Episode 3. It is really beautiful. Radio, as of now, has my heart the most. Such a precious little thing. To clarify, the “him” that I mentioned in “she glares at him” is actually the class bully, not “radio”. but, but, that is not to say too that the others are not worth watching,,, they are, soooo worth it too. it’s just that YiChan is just over the top good. and i want a WooNa story too. 🙂 am i greedy? yeah! Have just watched the first episode. The ending was quite unexpected and really got to me. The lead actress is gorgeous and while looking through your screencaps I realized that she has crazy THICKKK hair. One cannot ignore it, heh. I know I’m hooked when I ended up rewatching that ending at least a dozen times! Love their voices. Se Yi is badass. That duet still gives me goosebumps. I also loved Se Yi’s solo in the middle of the episode. Showing each of the cast alone in their natural milieu and struggles made the show a lot layered and rich. Each is a character onto him/herself. I am so intrigued to discover each of their stories. I think the most incredible thing is I don’t know any of the cast, not even knowing the lead is from beast. I only recognize sun woo from the beautiful you. This is where you know the story and cast is good since there is no bias. The leading girl definitely caught my eyes. I just hope the guitar is real. Thank you for recapping this gem! Oooh. The chemistry. I love it when they do their “staring”. 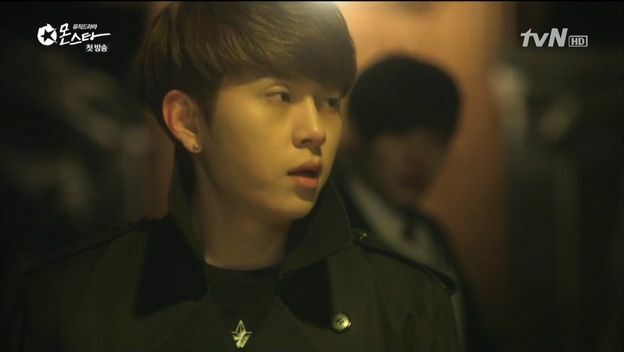 Omg, I totally ♥♥♥ Monstar! It’s not too surprising considering that SKKS was one of my favorite dramas, and that I’m really into music and tend to enjoy music-related dramas… still, it’s wonderful to be smitten again. So far, I’m loving the songs they’ve used– I was blown away when they chose to use Lee Sora’s beautiful Barami Bunda for the duet in ep. 1. Thanks a million, Koala for creating a Monstar Squeezone! I love this show, the characters seem so real, I’m happy you’re going to recap it. Thank you! I saw the plot summary maybe a month ago and took note thinking it sounded interesting then a bit later saw the reveiws of the first 2 episodes and they were very favorable and then saw it mentioned on this blog. Just finished watching the first episode and am really liking it. The pair are so interesting apart and together and really like the acting so far. 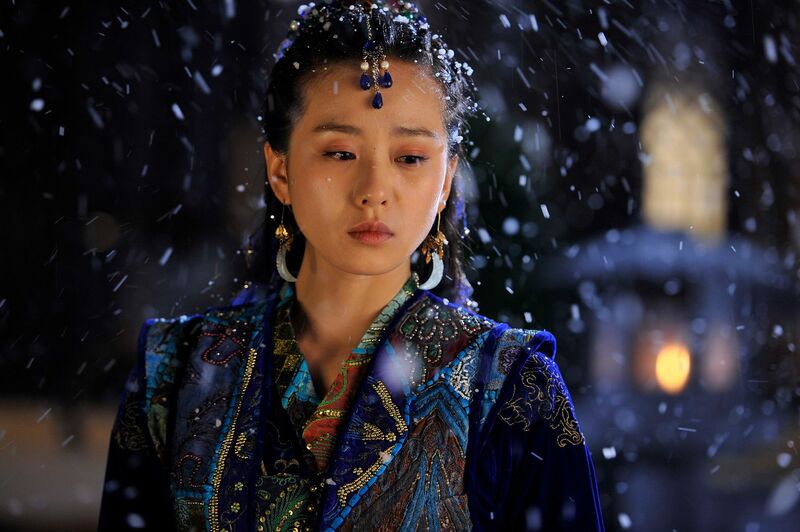 And Se Yi is really pretty, can’t help staring at her face. To me, it has a japanese drama feel to it. I haven’t really watched much korean high school dramas, maybe only Heartstrings (?? the one with Park Shin Hye). I’ve seen more japanese teenage dramas. It has a somewhat similar feel to how they handle it. Offhand, it’s kind of a hybrid of Nodame Cantabile for the music(only it’s less of a comedy, more angsty), a bit of Gokusen for the ensemble cast with their own backstories and, Nobuta wo Produce for that interesting chemistry and relationship between the leads. But I’ve only seen the first episode so might be wrong. I have high hopes but the waiting for new episodes will be tough. I love how all the characters are real & living real lives. So far no one is just a plot point. 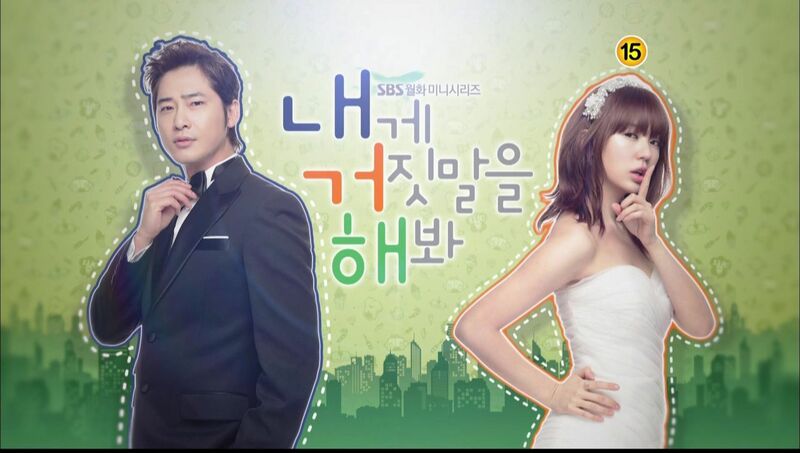 I really need to stop watching drama that are currently airing, because I get crazy waiting for the episodes to air. so far I am too addicted to this like everyone here. Do you know where I can watch it? 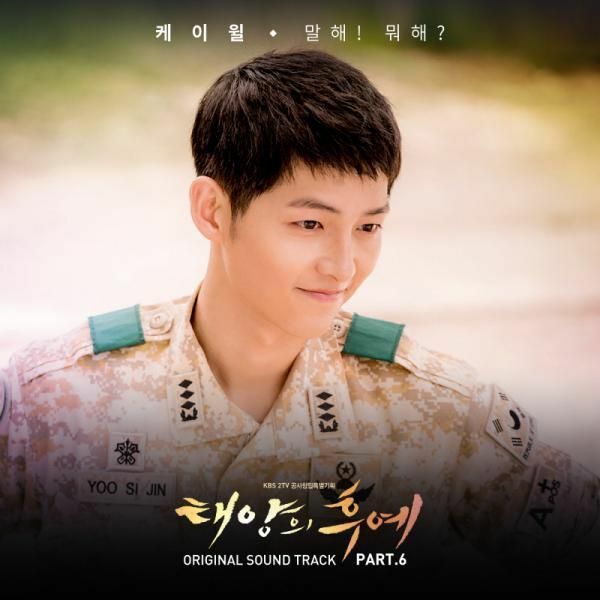 OST Songs – Predictors of Degree of Sadness?